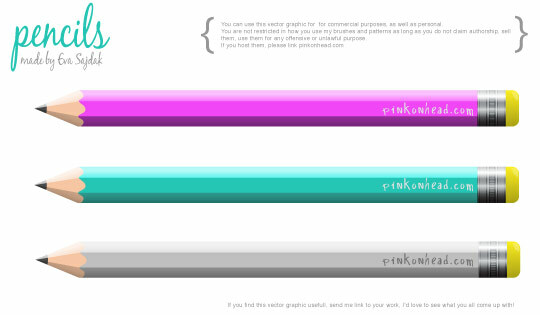 Just a simple pencil made in Illustrator CS4. When I finished it my mum came to my room and said “oh, Eva a pencil looks quite different, just look” and showed me a pencil which was all the time lying on the table, right by my hand. And yes, there is one detail that I missed… but I didn’t fix it. Hope somebody finds this vector graphic useful. 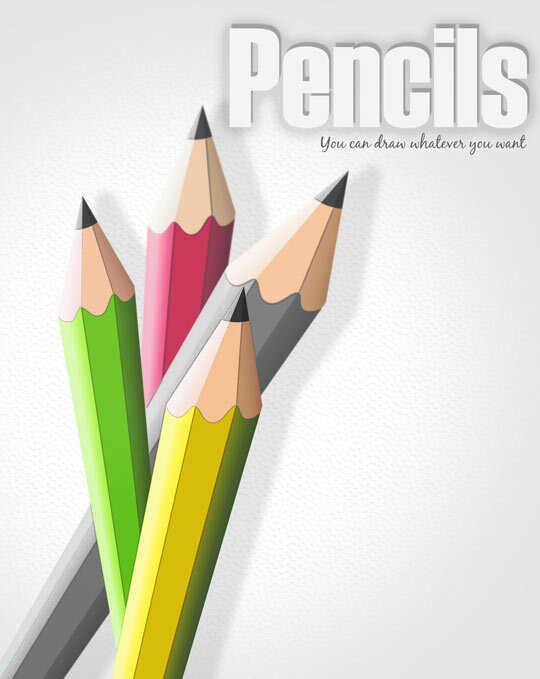 All vector graphics and PSD files are made by me. You can download them and use them for commercial purposes, as well as personal. You are not restricted in how you use my works as long as you do not claim authorship, sell them, use them for any offensive or unlawful purpose. It saved me time for me to create some simple icons. thanhk you for your help !